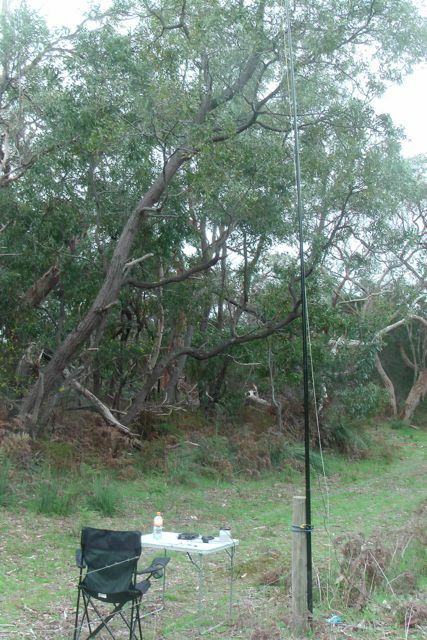 My last activation for Friday 5th September, was the Furner Conservation Park, which was located just south of my previous action at the Reedy Creek CP. Furner CP is situated about 4 km south east of Kangaroo Inn, and about 7 km north west of the township of Furner. The park and the town was named after Luke Liddiard Furner who was Member for Wallaroo and Commissioner for Public Works. The park consists of 286 hectares of gently undulating land. 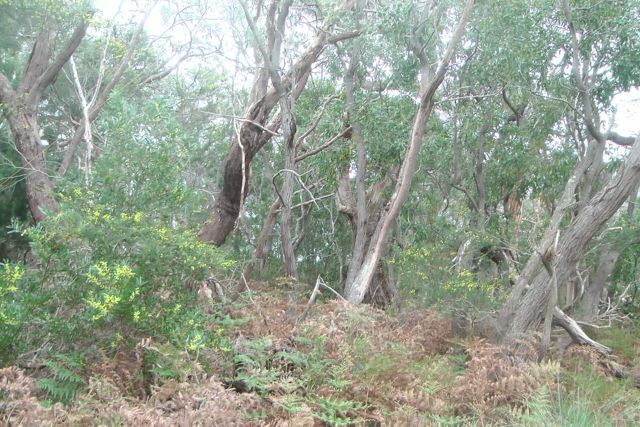 The major vegetation type is messmate stringy bark with the flats in the eastern part of the park near Reedy Creek, supporting a woodland of river red gum and rough barked manna gum. 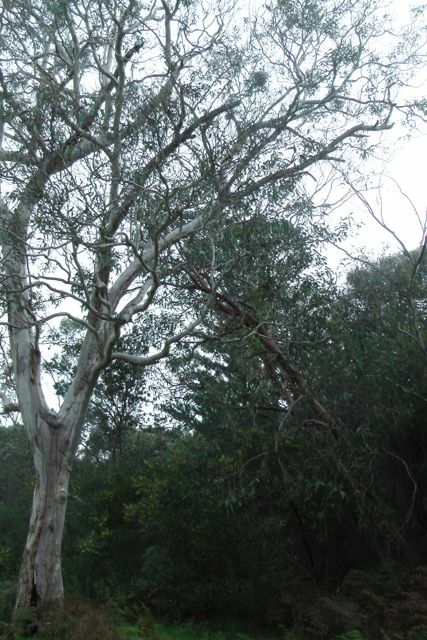 There are also areas of swamp gum on the flats. Vegetation on the stony rises with the park includes pink gum open woodland with isolated drooping sheoaks. 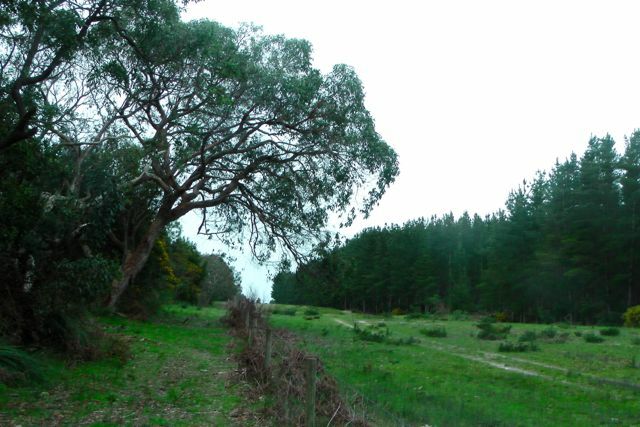 The park was previously used by landholders for sheep grazing, and the park was also burnt during the devastating Ash Wednesday bushfires of 1983. I accessed the park via South Eastern Road off the Princes Highway, and then turned left onto a forestry access road which bisects the pine forest and the park. The track is fine in a 2wd vehicle with care. As this was my last park of the day, I decided to relax a bit, and I set up my fold up table and deck chair. The mosquitoes were out in full force and a good dose of Aerogard was required. There is a wire fence which separates the park and the forest, so I climbed over the fence which is in poor condition and set my gear up on the table on the park border. I attached the 7m squid pole to one of the fence posts. Whilst in the park I spotted quite a few of the rare Red tailed black cockatoos. It is estimated that there are only about 1,500 of the South Eastern species remaining in the wild. They are spectacular birds to watch in flight with their very distinctive bright red tail. I was hoping that John VK5BJE would pop up, as I had spoken to him on the local repeater just before I entered the park, and was aware he and wife Jenny were heading for the Naracoorte Caves National Park, South Australia’s only World Heritage site. And sure enough, my 7th contact was with John within the park. John had been busy travelling over SA & Victoria, activating parks, and it was great to work John in another SA park as part of the VK5 National & Conservation Parks Award. Conditions seemed to be very good with good signal reports received from as far as Queensland, the ACT, and New South Wales. I spent about 40 minutes in the park, before packing up and heading off to my accomodation for the night, the Country Comfort Motel, in Mount Gambier. I ended up working 13 stations in VK1, VK2, VK3, VK4, & VK5 on 40m SSB. A good spread around Australia. Brian VK5FMID; Colin VK3UBY; John VK2FALL; Peter VK3TKK; Larry VK5LY/m; Mick VK5FMMC; John VK5BJE/p; Matt VK1MA; Colin VK4FAAS; Roy VK5NRG; Graham VK5KGP; Ron VK3AFW; and Theo VK3AP/m.